Less well known than it’s more celebrated neighbour, Johnstone Strait, the Broughton Archipelago provides a stunning array of scenery and lots of paddling variety. 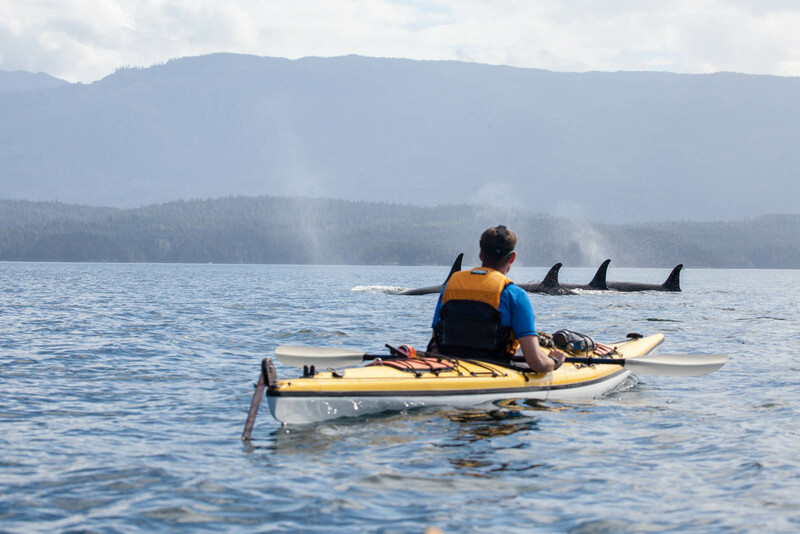 The Archipelago acts as the gateway between the Northeast corner of Vancouver Island and the southern terminus of the Great Bear Rainforest just to the North. 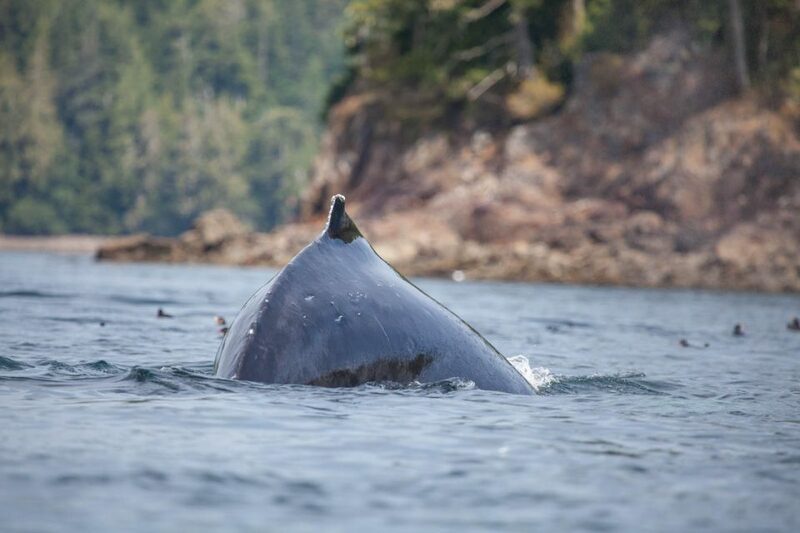 Interspersed with islands, middens, and half hidden coves, the Broughton area is rich in it’s diversity of wildlife, scenery and history. 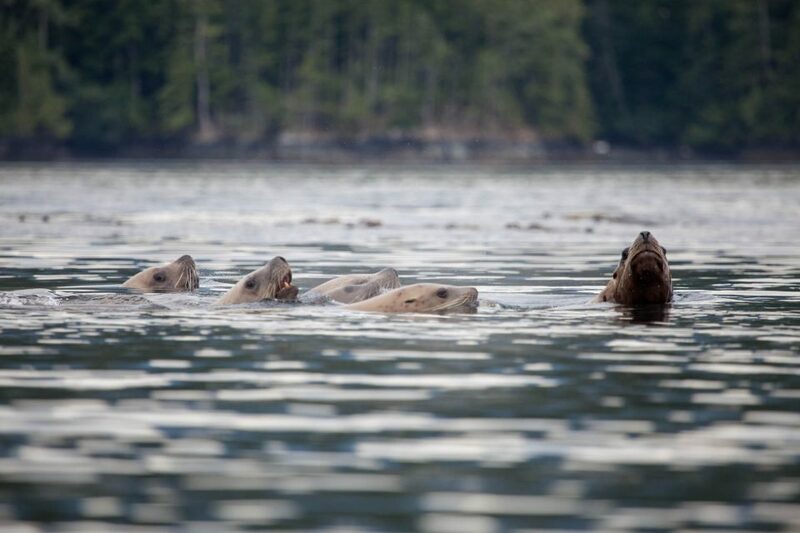 A BC Marine Park, The Broughton Archipelago is rich in First Nations culture; the Kwakwaka’wakw have called this area home for countless millennia, and the abandoned villages and other cultural sites that we visit attest to this. 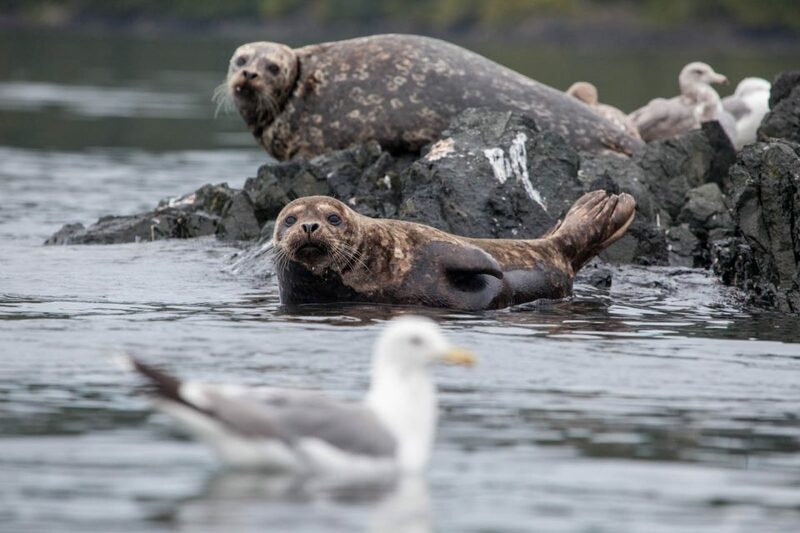 An important ecological area that acts as a nursery for millions of fish, it’s also abundant in wildlife, with bears, eagles, deer, and seabird colonies all feeding off its’ plentiful waters. 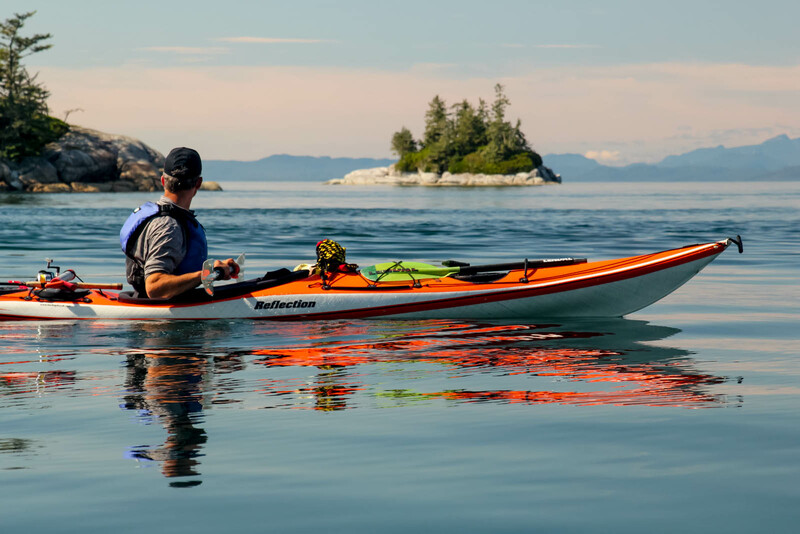 The Broughton Archipelago is a literal maze of islands, and no day’s paddle will be the same. 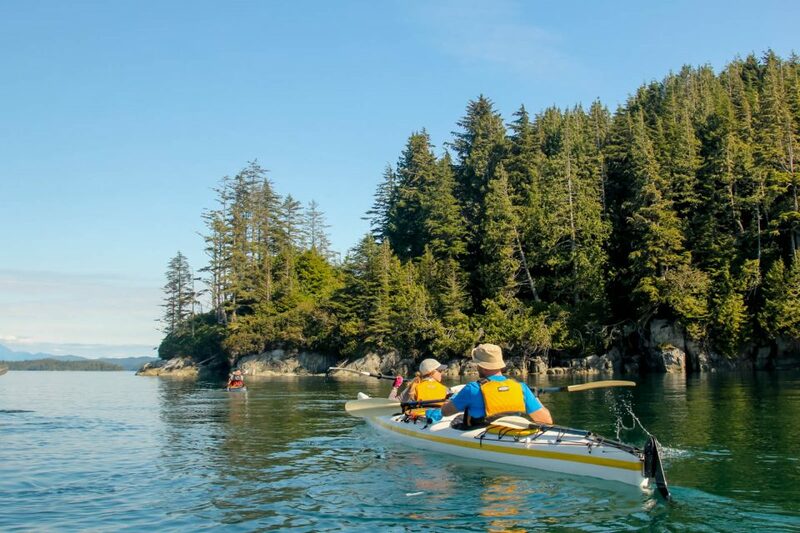 Often we paddle on the outer edge of the archipelago at the base of the Queen Charlotte Strait, here we encounter great fishing, sea bird colonies, sea lions haul outs, and a view of stunning grandeur that may call you to keep paddling for months up the inside passage. 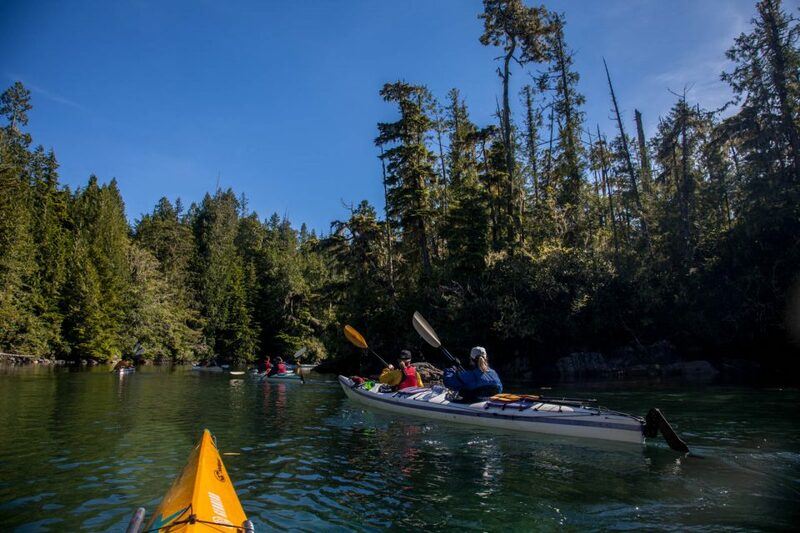 In sheltered waters of the Archipelago, we can find respite if the weather is sour and explore this mystical area and it’s first nations sites, hidden bays, and rich rainforest, and if the weather is stunning the islands shine like jewels and the white midden beaches almost seem tropical. 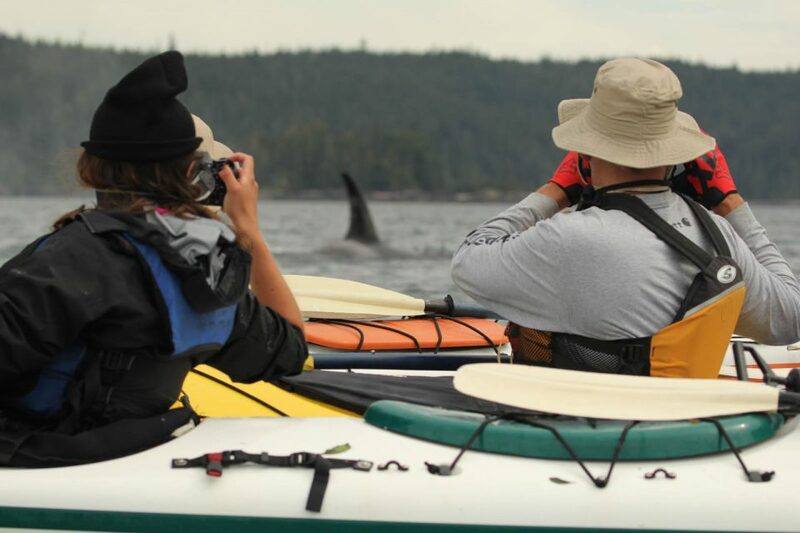 Our route takes us through Johnstone Strait off Vancouver Island which is the ideal location to go kayaking with orca and humpback whales and observe and photograph some of nature’s truly magnificent mammals. Day 2: After Breakfast we pack Kayaks (depending on weather need of transport), before kayaking, we will run a short intro to the Kayaks, Safety and how to paddle efficiently. 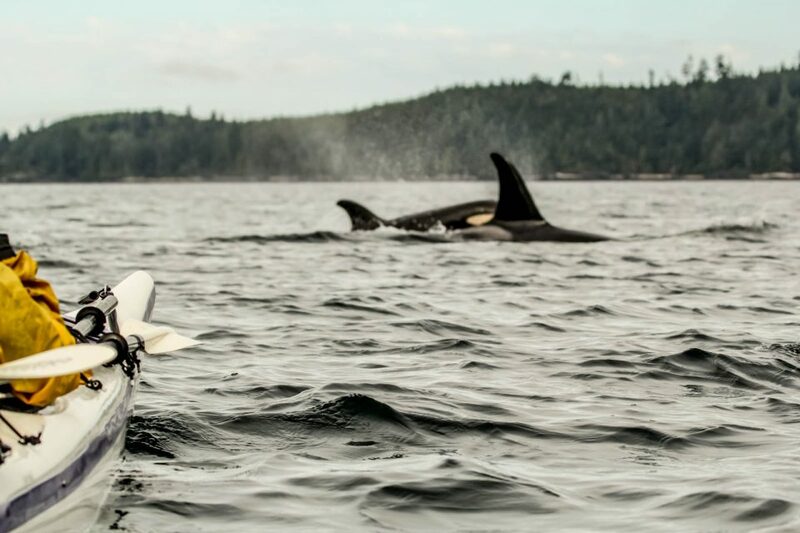 We aim to be on the water before lunch and it is a short paddle to our first campsite (depending on weather) along the shores of the Johnston Straight. Days 3 to 8: This nomadic tour will allow us to explore freely in the area, and we will break camp 5– 6 times. On Day two we will work our way across the Johnston straight and into the Broughton area, seeking out primo camp sites according to weather. *Day 5*: Along the way, we will stop at the Quaint and character full small community of Echo Bay and visit Billy Proctor’s museum, where he has gathered up thousands of artifacts from the area. 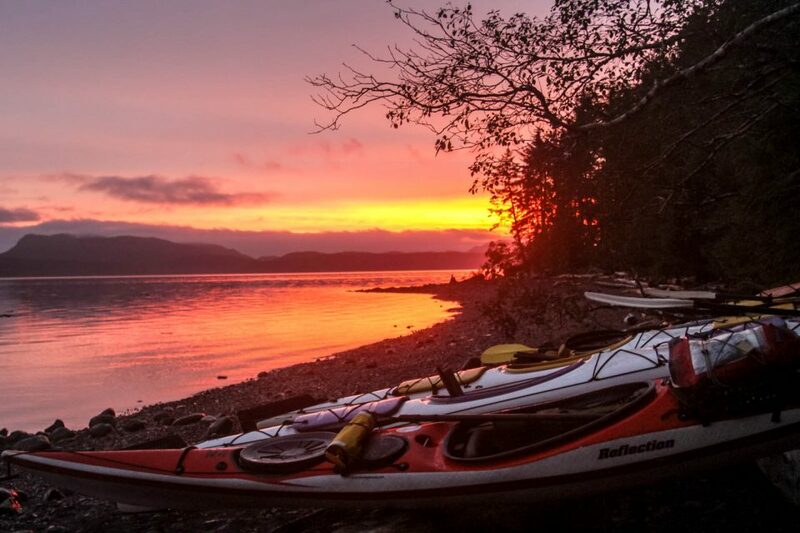 This night we will also call the floating Lodge “the Paddlers Inn” home for the night, where we will resupply on water and enjoy a shower and a real bed for the night. We may plan a stop at the ancient native village of Meem Quam Leese and explore its decaying totems and long houses. 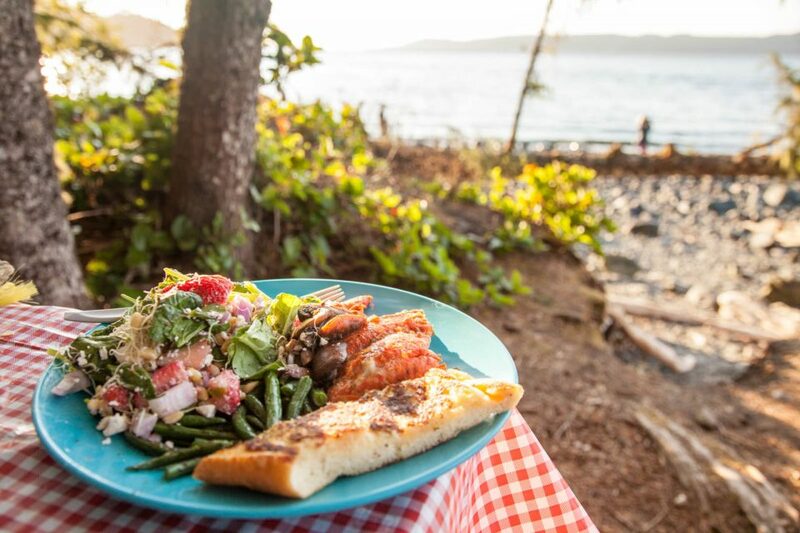 Day 9: On our last day, we’ll linger over breakfast; possibly pack up camp, and board our water taxi for the return journey to Telegraph Cove, arriving by about 10.30 AM. After pack up and lunch we begin our Journey south back to Vancouver.